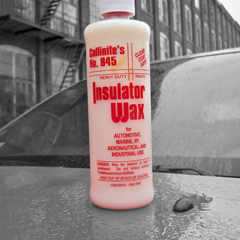 This heavy duty wax is used on finishes to automobiles, trucks, buses and aircraft where durability, high gloss and lasting protection are paramount. Good for fleet application and requires minimum rubbing or buffing. Clear coat safe. Available in pint containers.